I get a very high volume of requests by filmmakers for me to feature their films on my blog. I would love to be able to write about the work of my fellow filmmakers. However, if I write about one then I feel like I need to write about them all and it would be physically impossible to do so. I would be doing it full time and have no time to make movies or earn money to live. Therefore, I have decided to offer the following service. The fee is purposefully small but it will go a long way to allow me to take the time to put the blog together and post it. And hopefully you will feel like $20 is worth the promotion of your film to my audience. For $20, I will send you questions about your film for you to answer. Please send your answers back with photos and/or video links about your film and a still photo of yourself and your relationship to the film (writer/director/producer etc). I will then post your answers as a Q&A on my blog. It's as easy as that! This is a great tool to get your film out to the world. I'm really excited about it because we can all use an additional platform to talk about our work. 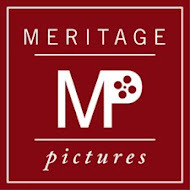 Payments may be made through PayPal to paypal@meritagepictures.com. Thank you! I look forward to featuring your work!